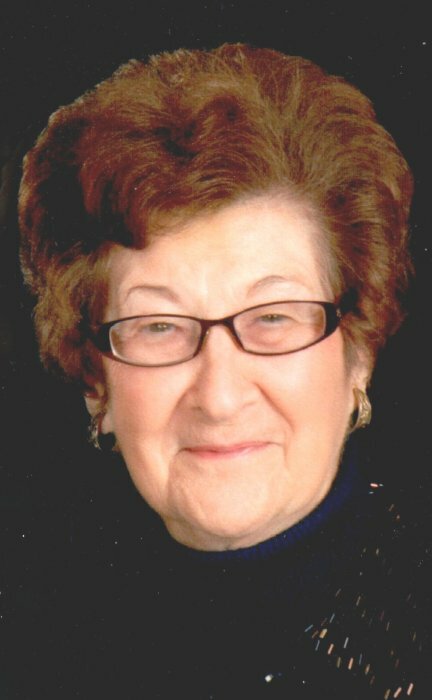 Obituary for Betty J (Morton) Strack | McCombs Funeral Home Inc.
Betty J. Strack, 87, of Jackson, passed away Wednesday, February 6, 2019, at the Monticello House in Jackson. She was born October 31, 1931, in Cape Girardeau, to Linus C. and Marie F. Milde Morton. Betty was a lifelong resident of Jackson, graduating from Jackson High School in 1949. She was baptized and confirmed at Emanuel United Church of Christ in Jackson. She and Vernon “Bud” Strack were married August 27, 1947. They were members of St. Paul Lutheran Church. Two sons were born to their union and they had been married 65 years when Bud passed away May 25, 2014. Betty worked as a looper at the former Jackson Hosiery Mill and later at Strack Realty in Jackson. She enjoyed traveling and square dancing. Loving survivors include two sons, Terry L. Strack (Sharyn Stover), and Michael M. Strack, (Velda Thomas) of Jackson; three grandchildren, Ryan N. Strack (Tabetha Dearing) of New Orleans, Louisiana, Sarah E. Goodwin (Mike Goodwin), and Jennifer Thieret (Eric Thieret), of Gordonville; five great-grandchildren, Julia and Jeffrey Williams, Sawyer and Whitley Goodwin, and Sylas Strack; a sister, Maxine (late Lyman) Stevens of Jackson; two sisters-in-law, Stella Mae Strack of Jackson and Nelda Ruth Morton-Hinton of Jackson; seven nieces and one nephew. She was preceded in death by her husband; a brother, Robert Morton; two brothers-in-law, Bob (Jackie) Strack and Kenneth Strack; and her parents. Visitation is from 9 a.m. to service time, Saturday, February 9, 2019, at McCombs Funeral Home and Cremation Center in Jackson. The funeral is at 11 a.m., Saturday, February 9, 2019, at the funeral home, with the Rev. Jason Shaw officiating. Burial will follow at Russell Heights Cemetery in Jackson. Memorials may take the form of contributions to St. Paul Lutheran Church, the Salvation Army, or the American Cancer Society.